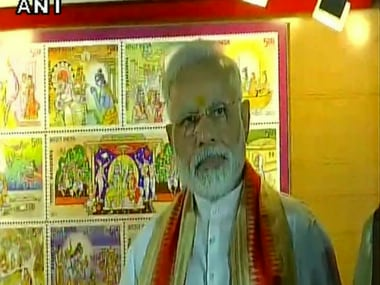 Varanasi: Prime Minister Narendra Modi Friday released a postage stamp on different aspects of Lord Ram's life at the historic Tulsi Manas Mandir, and said that Lord Ram was a source of inspiration for every individual. "There have been many stamps on Lord Ram, but this is the first of its kind stamp, which depicts different aspects of his life. This has not been done in the past. 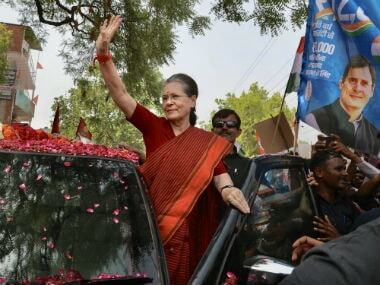 I am happy that I have got the opportunity to do this from the holy soil of Manas," he said. The Tulsi Manas temple has great historical and cultural importance in Hinduism as it was here that Hindu epic Ramcharitmanas was said to have been originally written by poet-saint Goswami Tulsidas. "The life of Lord Ram is a source of inspiration for every individual. If we look at the life of Mahatma Gandhi, we see Lord Ram became a mantra for him since his childhood. Every aspect of the life of a great man (mahapurush) and chetnapurush (man who awakens consciousness) like him (Lord Ram) motivates us." 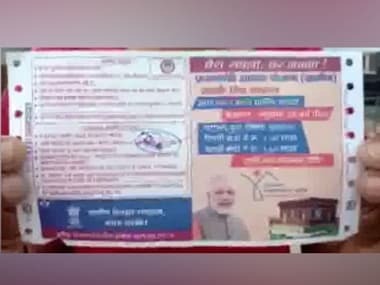 The Prime Minister said he could have released the stamp either at New Delhi's Vigyan Bhawan or his own residence, but then a thought came to his mind that it is the auspicious period of Navaratra, and in the life of Lord Ram, Navratra and Vijayadashami hold special significance. "A place where memories of Tulsidas are still alive ... There cannot be a better place than this Manas Mandir for releasing the postge stamp," he said. He said postage stamps the world over contained history. A collection of such stamps would show what transformations a country went through, he said. 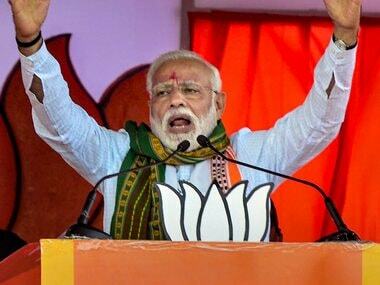 The prime minister later visited the Durga Mata Mandir.